B&W Tek produces optical spectroscopy and laser instrumentation for pharmaceutical companies. B&W Tek offers laboratory, portable and handheld Raman systems, as well as spectroscopy and laser solutions for the pharmaceutical, biomedical and chemical industries. The company’s core technologies include Raman, laser-induced breakdown spectroscopy (LIBS), near-infrared spectroscopy (NIR), ultraviolet-visible (UV/VIS) spectrometers, light sources, and accessories. B&W Tek has shipped more than 10,000 portable and handheld Ramen spectrometer systems, including the NanoRam, which is a range of small handheld instruments with an integrated computing system. The spectrometer identifies and verifies materials for current good manufacturing practice (cGMP) compliant facilities. B&W Tek uses ready-to-use, off-the-shelf handheld Raman products, which are built using lasers and spectrometers designed and manufactured by the company’s team. Raman spectroscopy is used for qualitative and quantitative analysis of organic and inorganic compounds. The company’s products meet CFR 21 Part 11 standards and reduce production costs within cGMP facilities, while also increasing productivity. NanoRam identifies and verifies materials such as APIs, excipients, intermediates and finished products. It can be used by non-technical users to identify samples in the lab, warehouse, loading dock or field. The spectrometer eliminates quarantine areas and expedites materials through the manufacturing lifecycle. Non-contact analysis can be performed using Raman technology through transparent containers, while maintaining the integrity of the sample. Raman spectroscopy has been certified by US and European Pharmacopoeia, as well as the Pharmacopoeia of the People’s Republic of China. This method complies with the PIC/S good manufacturing practice (GMP) guide concerning identity assurance for materials. B&W Tek provides assistance with method and new library development, and offers assistance with IQ/OQ/PQ implementation. NanoRam features a user-friendly interface for technical and non-technical users, and measures various samples in different environments and packaging using a single unit. The spectrometer features superior hardware to ensure reliable results. Multivariate algorithms maintain accuracy when testing and identifying materials. NanoRam can be used for incoming material identification, substance investigation, at-line sampling, inspection and counterfeit detection applications. The spectrometer complies with all governing regulations, including 21 CFR Part 11 and Part 1040.10. B&W Tek was originally a producer of green lasers and has grown into a total solutions provider. The company focuses on strong vertical integration for better efficiency and faster growth, which provides clients’ with higher quality and economical products. Core components are designed and manufactured in-house to create ideal solutions for various requirements. B&W Tek is proud to announce the launch of contentuniformity.com, a fully comprehensive website on the QTRam® and the benefits of transmission Raman spectroscopy. B&W Tek is an advanced analytical instrumentation company that guarantees high-performance, high-quality, and solid regulatory compliance standards for all products. The development of handheld Raman spectrometers has drastically changed the way the industry conducts quality control for incoming raw materials. The NanoLIBS is a state-of-the-art handheld laser-induced breakdown spectroscopy (LIBS) instrument for the identification and investigation of raw materials such as monatomic salts. B&W Tek’s family of portable Raman spectrometers offer you unprecedented sampling utility, allowing you to do more with less. B&W Tek has one of the most comprehensive lines of ultraviolet (UV), visible light (Vis) and near-infrared (NIR) spectrometer modules on the market. B&W Tek’s project management and engineering teams work closely with you to understand not only the product requirements, but also your overall business goals. 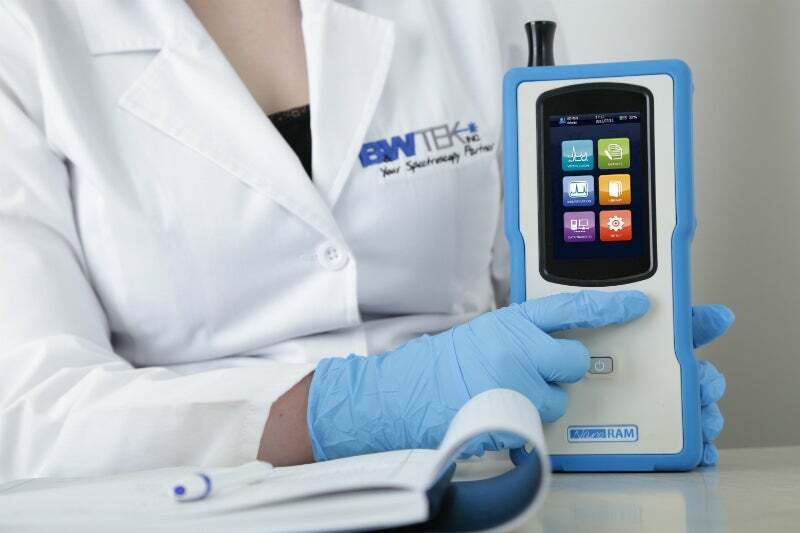 Switzerland-based chemical analysis products manufacturer Metrohm and US-based Raman spectroscopy equipment supplier B&W Tek have announced the acquisition of B&W Tek’s Spectroscopy Solution Business, B&W Tek and several overseas subsidiaries. B&W Tek has announced the QTRam™ for nondestructive and real-time pharmaceutical content and blend uniformity measurement powered by the award-winning STRaman™ technology at CPhI North America. CPhI North America is an exclusive event for the North American pharmaceutical industry held at the Pennsylvania Convention Center. B&W Tek has announced the opening of its new Spinco-B&W Tek Center of Excellence Lab in India. US-based spectroscopy specialist B&W Tek has announced that the company’s innovative STRaman™ Raman analyser for See-Through (ST) analysis through opaque barriers has been awarded a Pittcon Today Excellence Gold Award at the 2018 Pittcon Conference. B&W Tek has announced updates to the NanoLIBS® handheld laser-induced breakdown spectroscopy (LIBS) analyser for the pharmaceutical industry. The device's hardware has been enhanced, allowing the ability to identify a range of specific target salts. B&W Tek has announced it has updated the BWSpec software, expanding the level of support provided to B&W Tek spectrometers, systems, and accessories beyond spectral acquisition to a control and spectral analysis platform. B&W Tek is proud to announce that its NanoLIBS® handheld laser-induced breakdown spectroscopy analyser is the winner of the 2016 Excellence in Pharma: Analysis, Testing and Quality Control category of the CPhI Pharma Awards. B&W Tek has announced its NanoRam series has full compliance to the latest version of the European Pharmacopeia Raman Spectroscopy chapter. The Analytica international trade fair in Munich presents a number of presentation of innovative laboratory technology and future-oriented biotechnology.